Dr. Jim Duff, a Licensed Psychologist, earned his undergraduate degree from Seattle University (1970) and his master’s and doctoral degrees from the University of Kansas (1973, 1977). He has additional post-doctoral training in diverse areas including hypnotherapy, family therapy, brief solution-focused therapy, EMDR, Thought Field Therapy and CBT. Dr. Duff has practiced in our community since 1974, serving for many years as staff psychologist and the Coordinator of Children’s Services at our community mental health center. He served for 10 years on the Coalition for Child Advocacy, and is a past member of the Whatcom Adolescent Offender Treatment Collective. 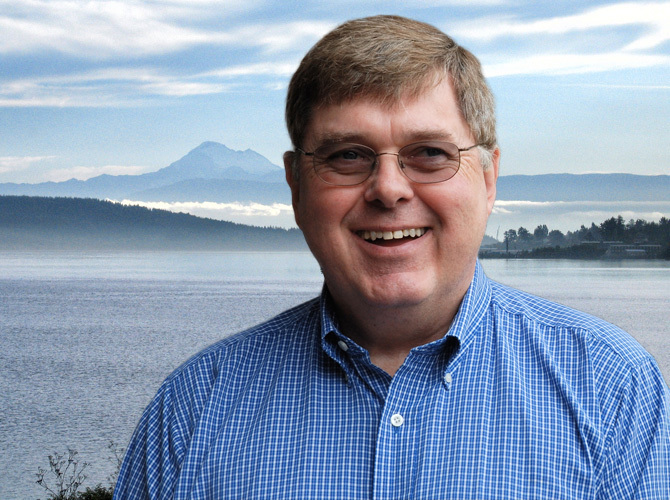 Dr. Duff’s present memberships include the American Psychological Association and its division of Clinical Hypnosis, and the Washington State Psychological Association. Dr. Duff believes in the importance of active teamwork between the client and the therapist. He values the practical over the theoretical, and flexibility over rigidity. He finds that humor is an important tool in therapy, as in life. His present work focuses on individual adults, covering the full range of life’s challenges and transitions. He often uses CBT and EMDR to facilitate the process of change. Jim and his wife, Kim, enjoy living near Birch Bay. Interests which occupy his time include computer-related activities, reading cozy mysteries, and playing basketball. He has two grown daughters and several grandchildren, two of whom live in Sardinia.